Fleet safety can’t be ignored if you run a field service business. Every time your field team members climb behind the wheel and get on the road, they put themselves at risk of serious injury. 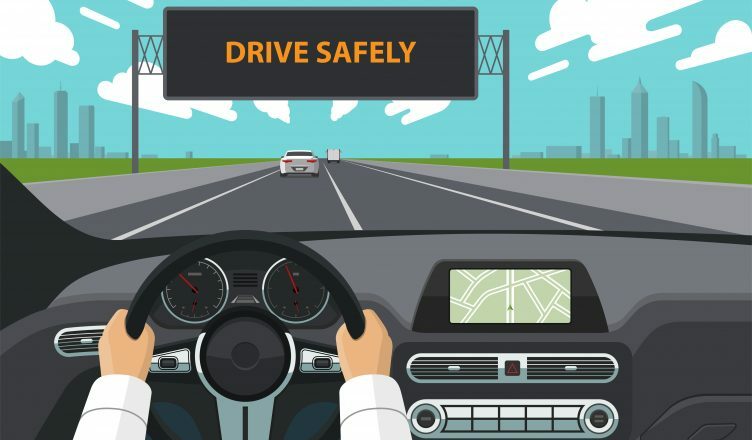 However, your field team members may find it difficult to balance safe driving practices with the expectation of making it to each destination on time. To keep your customers happy without driving dangerously, you’ll need to establish strict safety policies. Driver safety has a huge impact on your expenses. Fleet vehicle accidents can take a bite out of your profits in a number of ways. For one thing, you might need to pay for any property damage caused by a collision. Then, there’s physical injury – you might need to pay for the medical care of your team member and others involved in the accident as well. If anyone involved in the accident pursues legal action, you’ll need to pay for a lawyer’s services, too. Also, there’s the damage that an accident does to your vehicle. You’ll need to pay for repairs, and you won’t be able to resell the vehicle for as much money (if the car is totaled, you won’t get anything for it). Even if your team member doesn’t get into an accident, reckless driving will still cost you, as speeding may result in traffic tickets and it uses up more gas than necessary. Your reputation depends on your ability to meet your ETAs. If your team member gets into an accident in the middle of their route, then they’ll miss many appointments. Your customers won’t like that! Are the vehicles in your fleet branded with your logo? If so, then you have an especially compelling reason to practice safe driving. People might see your team members being reckless on the road, which will give them the impression that your entire business is irresponsible and unprofessional. A business is nothing without its workers. If word gets around that your field team members tend to get into collisions, you’ll have trouble attracting top talent. Conversely, if you take fleet safety seriously and maintain a good safety record, you’ll have an edge over your competitors in building the best team. If you plan your routes manually, this may be causing your team members to drive recklessly. Route planning is complicated. There’s more to it than just figuring out which streets can take you from Point A to Point B. You also need to consider traffic, construction, weather, and many other factors. There are so many moving parts involved that you won’t be able to create the most efficient route by hand, which means your field team members might need to speed in order to pick up the slack and make it to all their stops on time. That’s why you need a route planner app. This software is capable of accounting for all the factors involved in route planning. It processes millions of possible scenarios to determine the most efficient way to travel to a given set of stops. Of course, even if you give your team members perfect routes, they might drive recklessly anyway. You’re in the office and they’re on the road. How do you really know what they’re doing? GPS tracking is how. The best route planners, like Route4Me, have a tracking feature you can use to see the real-time location and speed of everyone in your fleet. Route4Me takes this feature one step further with our Safety4Me fleet safety program. Safety4Me tracks your team members and assigns them training modules based on their behavior. For example, if a team member has a habit of braking harshly, Safety4Me will assign them a lesson on how to brake properly. That way, everyone gets the exact education they need. Read this article to learn more about how fleet management software improves fleet safety. So, how do you ensure that your field reps stay safe while driving? Do you have any questions about this article? Feel free to let us know in the comments section below. How can safe driving practices reduce your expenses? How can Route4Me help you with safety training? How does a GPS tracker improve fleet safety? Thank you for sharing such an essential pieece of information that clearly explains the importance of safe driving.